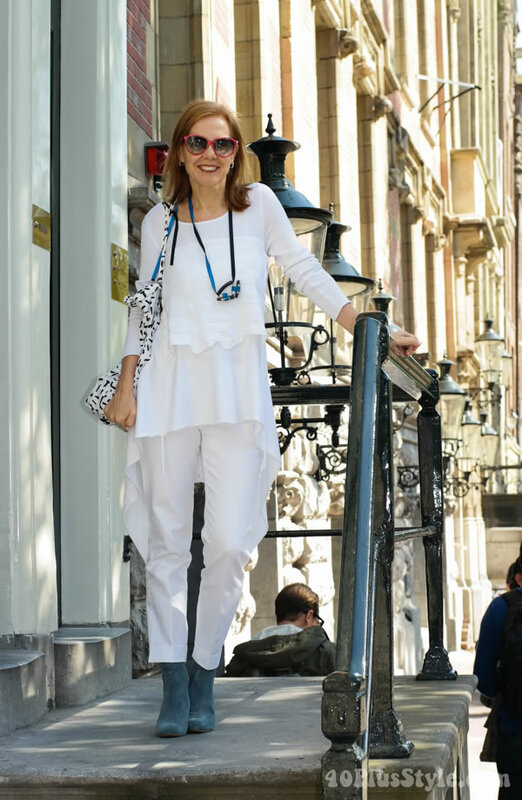 When I spotted these fabulous booties in the sale at SjoeShoes in my native town of Nijmegen, I knew the perfect outfit to wear with them. I really wanted to let them shine by going all white. 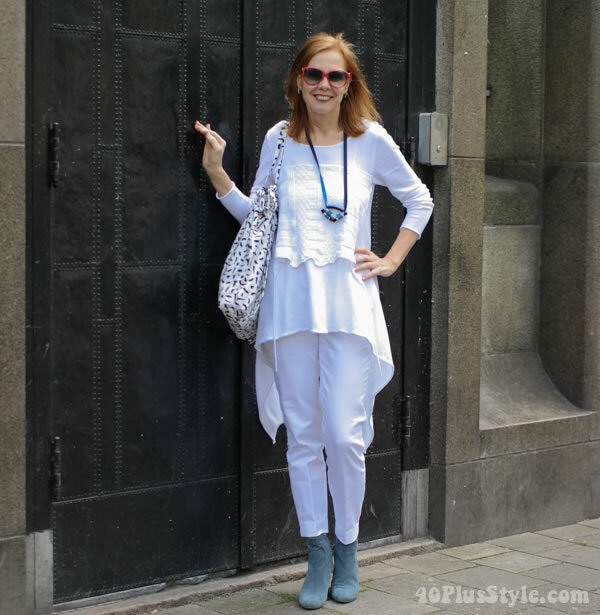 This tunic has been a favorite since I first showed it to you and it’s proving to be a great versatile piece for the ever changing Dutch climate. The material is all natural cotton so never too hot but still covered enough for a slight chill. It’s easy to layer with a jacket too if more warmth is needed. The suede booties are from Aura by Lodi, one of 3 new shoe brands I discovered (more on the other 2 in later articles). They are light because of the perforated sides and I love the color. I prefer this look with my fab booties but of course I was smart enough to take my flats too for a shopping day! The textured bag is from Cos and I was attracted to it because of the light weigh and easy portability. You can also use it as a backpack which is really convenient for travelling. 14 ways to wear black and white in summer!